Jonathan M. Borwein, FRSC, FAAAS, FAA is currently Laureate Professor in the School of Mathematical and Physical Sciences and Director of the Priority Research Centre in Computer Assisted Research Mathematics and its Applications at the University of Newcastle. He is also Distinguished Professor at King Abdulaziz University in Jeddah and holds Adjunct Professorial positions at Chiang Mai (Econ), Simon Fraser (Math) and Dalhousie (CS). An ISI highly cited scientist and former Chauvenet prize winner, he has published widely in various fields of mathematics. His most recent books are Convex Functions (with John Vanderwerff), vol 109, Encyclopaedia of Mathematics, Cambridge University Press, 2010), Modern Mathematical Computation with Maple (and with Mathematica) (with Matt Skerritt),Springer Undergraduate Mathematics and Technology, 2011, 2012) and Lattice Sums Then and Now (with Glasser, McPhedran, Wan and Zucker, vol 150, Encyclopaedia of Mathematics, Cambridge University Press, 2013). 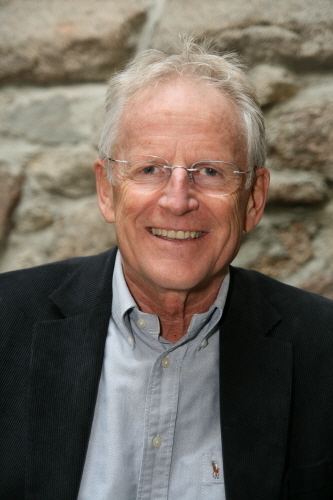 Bruno Buchberger is Professor of Computer Mathematics at RISC (Research Institute for Symbolic Computation), Johannes Kepler University (JKU) in Linz, Austria. In 1985, he founded the Journal of Symbolic Computation and served as the editor for 10 years. In 1987, he founded the Research Institute for Symbolic Computation of the JKU, and served as the chairman for 10 years. In 1989, he founded JKU Softwarepark Hagenberg (1000 coworkers in R&D and 1500 students) and served as the director for 24 years. Buchberger is best known for his invention of the theory of Groebner bases (established in his PhD thesis 1965). 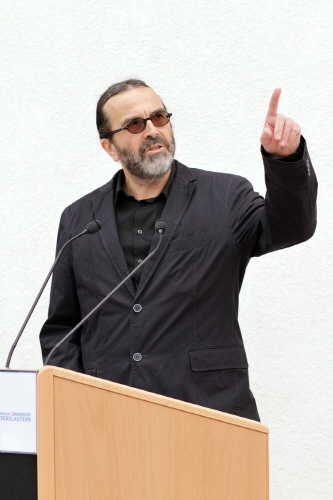 For his Groebner bases theory, among other scientific honors, he received the ACM Kanellakis "Theory and Practice" Award 2007, he was elected (1991) member of the Academy of Europe, and he received six honorary doctorates (from the Universities of Nijmegen, Timisoara, Waterloo, Innsbruck, and Genova). His current main research topic is automated mathematical theory exploration (the "Theorema Project"). Wolfram Decker is Professor of Algebraic Geometry and Computer Algebra in the Department of Mathematics at TU Kaiserslautern. 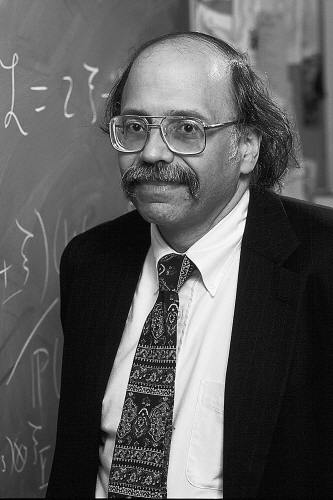 He directs the development team of the computer algebra system Singular whose focus is on polynomial computations with special emphasis on commutative and non-commutative algebra, algebraic geometry, and singularity theory. He is the coordinator of the six-year nationwide priority programme Algorithmic and Experimental Methods in Algebra, Geometry, and Number Theory, run by the German Research Council DFG. A former professor at Saarbruecken, Decker took leading roles in two European networks in algebraic Geometry, EuroProj and EAGER: As coordinator and head of the Programme Management Committee, respectively, he organized more than thirty schools, workshops and conferences which particularly addressed the education of young researchers. He is the coauthor of two books on computational algebraic geometry. His current research interest includes the design of parallel algorithms for applications in commutative algebra and algebraic geometry. "Update: Professor Wolfram Decker will not be able to attend the meeting due to a recent accident/injury." Andrew Sommese is Duncan Professor of Mathematics in the Notre Dame Department of Applied and Computational Mathematics and Statistics, which evolved from the Center of Applied Mathematics, of which he was the Director. He received a 1973 Ph.D. in Mathematics from Princeton followed by a Gibbs Instructorship at Yale. He spent several years at the Max Planck Institute for Mathematics in Bonn and was a consultant to General Motors Research Labs for eleven years. 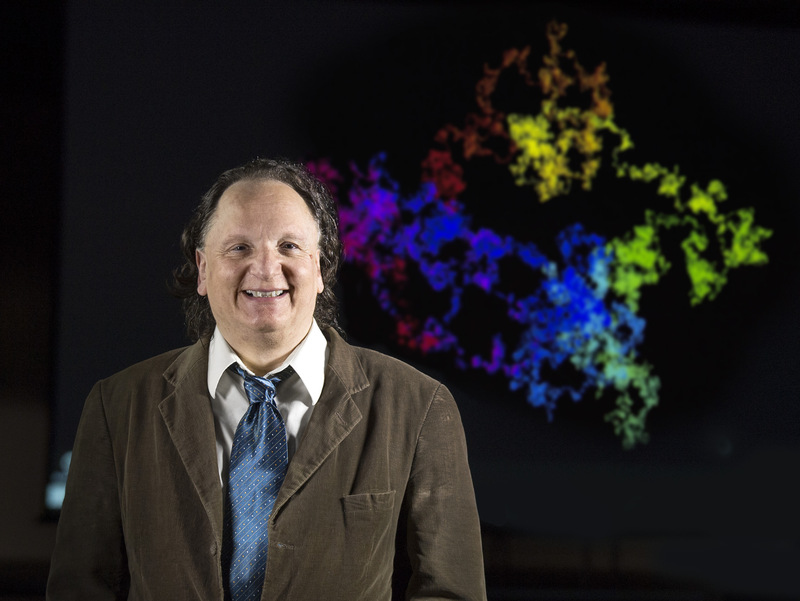 He is on the editorial boards of three journals and is the coauthor of four books: the most recent, on the software package Bertini, was recently published by SIAM. Honors include a Sloan Fellowship and a Humboldt Prize for Senior U.S. Scientists. He is an American Mathematics Society Fellow. His research is on the development of algorithms and software for solving systems of nonlinear differential equations with particular interest in free -boundary problems. Dr. Kokichi Sugihara is a professor at the Graduate School of Advanced Mathematical Sciences, Meiji University, Tokyo, Japan. 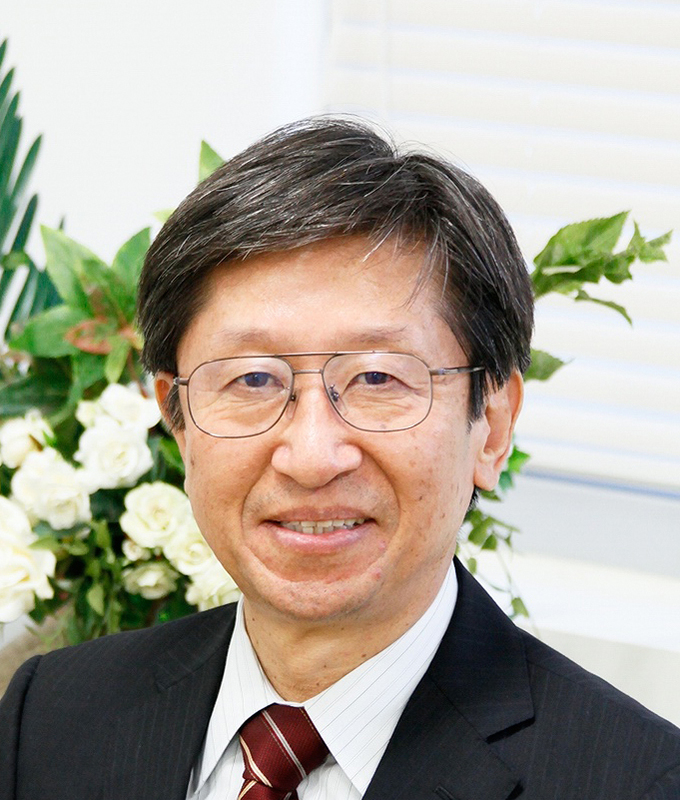 He received Dr. of Engineering Degree from the University of Tokyo in 1980. He once worked at Electrotechnical Laboratory of the Ministry of International Trade and Industry of Japan, Nagoya University and the University of Tokyo, before he had the present position in 2009. His basic research area is mathematical engineering, and his present interest includes computational geometry, computer vision, computer graphics, robust geometric computing and human vision and optical illusion. He is the leader of a research project called "Computational Illusion" supported by the Japan Science and Technology Agency. He opened the Illusion Museum for exhibiting artworks on optical illusions generated in mathematical researches on optical illusion. He is the author of "Machine Interpretation of Line Drawings" (MIT Press, 1984), a co-author of "Spatial Tessellations: Concepts and Applications of Voronoi Diagrams" (John Wiley and Sons, First Edition1994 and Second Edition 2000). He is the first prize winner of the Best Illusion of the Year Contest in 2010 and 2013. Nick Trefethen is Professor of Numerical Analysis and head of the Numerical Analysis Group in the Mathematical Institute at Oxford University. He was educated at Harvard and Stanford and held professorial positions at NYU, MIT, and Cornell before moving to Oxford in 1997. He is a Fellow of the Royal Society and a member of the US National Academy of Engineering. 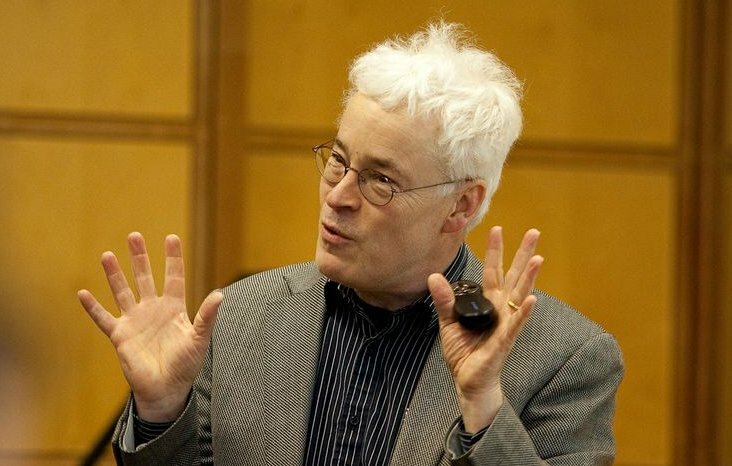 As an author he is known for his books Numerical Linear Algebra (1997), Spectral Methods in MATLAB (2000), Schwarz - Christoffel Mapping (2002), Spectra and Pseudospectra (2005), Trefethen's Index Cards (2011), and Approximation Theory and Approximation Practice (2013). He is an ISI Highly Cited Researcher, with about 100 journal publications in numerical analysis and applied mathematics, and has served as editor for many of the leading numerical analysis journals. He has lectured in about 20 countries and 30 American states, including invited lectures at both ICM and ICIAM congresses. Some of Trefethen's recent activities include the SIAM 100-Dollar, 100-Digit Challenge, the notion of Ten Digit Algorithms ("ten digits, five seconds, and just one page"), and the Chebfun software system for numerical computation with functions. During 2011-2012 he served as President of SIAM. Over the past five years, the role of visual computing in my own research has expanded dramatically. In part this was made possible by the increasing speed and storage capabilities---and the growing ease of programming---of modern multi-core computing environments [BMC]. But, at least as much, it has been driven by my group’s paying more active attention to the possibilities for graphing, animating or simulating most mathematical research activities. I shall describe diverse work from my group in transcendental number theory (normality of real numbers [AB3]), indynamic geometry (iterative reflection methods [AB]), probability (behaviour of short random walks [BS, BSWZ]), and matrix completion problems (especially, applied to protein confirmation [ABT]). While all of this involved significant numerical-symbolic computation, I shall focus on the visual components. [AB3] F. Aragon, D. H. Bailey, J.M. Borwein and P.B. Borwein, “Walking on real numbers.” Mathematical Intelligencer. 35(1) (2013), 42-60. DOI: http://link.springer.com/article/10.1007%2Fs00283-012-9340-x. See also http://walks.carma.newcastle.edu.au/. [ABT] F. Aragon, J. M.Borwein, and M. Tam, “Douglas-Rachford feasibility methods for matrix completion problems.” ANZIAM Journal. Accepted March 2014. Available at http://arxiv.org/abs/1308.4243. See also http://carma.newcastle.edu.au/DRmethods/. [BSC] J.M. Borwein, M. Skerritt and C. Maitland, “Computation of a lower bound to Giuga's primality conjecture.” Integers 13 (2013). Online Sept 2013 at #A67, http://www.westga.edu/~integers/vol13.html. [BS] J.M. Borwein and A. Straub, “Mahler measures, short walks and logsine integrals.” Theoretical Computer Science. Special issue onSymbolic and Numeric Computation. 479 (1) (2013), 4-21. DOI: 10.1016/j.tcs.2012.10.025. [BSWZ] J.M. Borwein, A. Straub, J. Wan and W. Zudilin (with an Appendix by Don Zagier), “Densities of short uniform random walks.”Can. J. Math. 64 (5), (2012), 961-990. http://dx.doi.org/10.4153/CJM-2011-079-2. [L] J.E. Littlewood, A mathematician's miscellany, London: Methuen (1953); Littlewood, J. E. and Bollobas, Bela, ed., Littlewood's miscellany , Cambridge University Press, 1986. In this talk we argue that mathematics is essentially software. In fact, from the beginning of mathematics, it was the goal of mathematics to automate problem solving. By systematic and deep thinking, for problems whose solution was difficult in each individual instance, systematic procedures were found that allow to solve each instance without further thinking. In each round of automation in mathematics, the deep thinking on spectra of problem instances is reflected by deep theorems with deep proofs. In 20th century, the systematic procedures for spectra of problems became physically tangible as algorithms / software for the universal computer (which itself essentially is a mathematical invention). In 21st century, the rounds of automation in mathematics reach higher and higher levels and move more and more to the meta-level of mathematics, i.e. to the automation of mathematical thinking itself. In this talk, we illustrate the evolution of mathematics towards higher and higher levels of automation of its own problem solving and thinking process by a couple of examples of increasing sophistication starting from calculation with Roman numbers up to the automatic invention of algorithms like the speaker’s algorithm for computing Gröbner bases. As a practical experience of Gödel’s Incompleteness Theorem, there is no upper bound to the sophistication of higher and higher rounds in mathematical automation. Thus, mathematicians live in the best of all worlds: They can embark on more and more challenging problems that need an algorithmic solution knowing that, after an algorithmic solution has been achieved, there will always be room for more sophistication and human mathematical invention. Thus, in a sense, mathematicians will never become jobless. By the intellectual power in the automation of mathematical problem solving, visible as “software”, mathematics is also in the center of the spiral of automation in all science, technology and economy and is the silent driving force behind the spiral of innovation. Unfortunately, the intellectual attractiveness and practical relevance of mathematics is hard to explain to outsiders. Or, more precisely, mathematicians often do a very bad job for explaining the fundamental role of mathematics clearly enough to outsiders, who in fact are the insiders of modern society. However, it is very important for the further development of mathematics that the role of mathematics for modern science, technology, economy, and welfare is made public. We will also present a few ideas about this political aspect of being a mathematician in today’s society. The goal of Numerical Algebraic Geometry is to carry out algebraic geometric calculations in characteristic zero using numerical analysis algorithms. This comes down to numerical algorithms to compute and manipulate solution sets of polynomial systems. Numerical Algebraic Geometry is a natural outgrowth of the continuation methods to compute isolated complex solutions of systems of polynomials with complex coefficients. There are a wide range of applications including solution of chemical systems, kinematics, numerical solution of systems of nonlinear differential equations, and computation of algebraic geometric invariants. Bertini is open-source C software, developed by Bates (Colorado State U. ), Hauenstein (Notre Dame), Sommese (Notre Dame), and Wampler (General Motors R. & D.), to carry out Numerical Algebraic Geometry computations. Bertini will be rewritten to make it a better tool for users. Bertini dates from over a decade ago, and from this experience we have identified several possibilities for significant improvements. One goal is to change some of the data structures and add internal functionality that will give the user the ability to write scripts and interface with other software. In this talk, I will give an overview of Numerical Algebraic Geometry. I will consider the theoretical algorithms underlying the area in the light of the practical issues that arise when implementing the algorithms in the current and the future Bertini. Straightforward implementation of geometric algorithms usually results in unstable software because numerical errors generate inconsistency and make the software to fail. The human brain, on the other hand, can manage image data robustly although the resolution, precision and computation speed are all poor when compared with the electric computers. In this talk we try to characterize the sources of the robustness of the human visual computation through optical illusion, and consider to utilize them for designing robust geometric software. In particular we point out that the human brain is persistent and similar persistency can be implemented to make geometric software robust. In other words, we treat only independent set of information and thus avoid inconsistency. This idea includes the topology-oriented approach which we have studied for robust geometric computation. Chebfun is a software system for numerical computation with functions. The starting point in 2002 was the idea of overloading Matlab's discrete objects (vectors, matrices,...) to continuous analogues (functions, operators,...). For speed and robustness, however, everything remains numerical, based on piecewise Chebyshev expansions. Thus another way to view Chebfun is as an extension of the rounding-to-16-digits idea of floating point arithmetic from numbers to functions. From this starting point, Chebfun has moved in many directions, including linear and nonlinear ODEs, time-dependent PDEs, edge-detection, computation with functions defined on rectangles in 2D, quadrature and orthogonal polynomials, Legendre-Chebyshev conversions, rootfinding in 1D and 2D, and rational approximation. Besides its convenience for practical desktop computing, it is also an excellent tool for exploring many topics of approximation theory. Though this talk will touch on these mathematical topics, the organizing principle will be software. How does a project like this evolve over a decade from one programmer and his PhD supervisor to a dozen developers linked by GitHub with users around the world? How do you keep the project under control and make it strong for the future even when most of the work is done by students and postdocs passing through transiently and busy building their research careers? These challenges are new to me in the past decade, and I have as many questions as answers.